Lakewood Nursing Center has an established wound care program in place to treat and prevent wounds from developing within the facility. Based upon our individualized assessments for specific conditions, causes and needs, we establish treatments and services to promote healing, prevent infection and prevent new ulcers from developing. The facility has a wound care nurse on staff that monitors a resident’s response to preventative efforts and the healing process. Besides pressure ulcers, the facility is also able to care for and identify treatments for residents with venous, arterial, surgical and diabetic ulcers. We have an on staff wound care certified physician who makes weekly rounds with our staff wound care nurse. 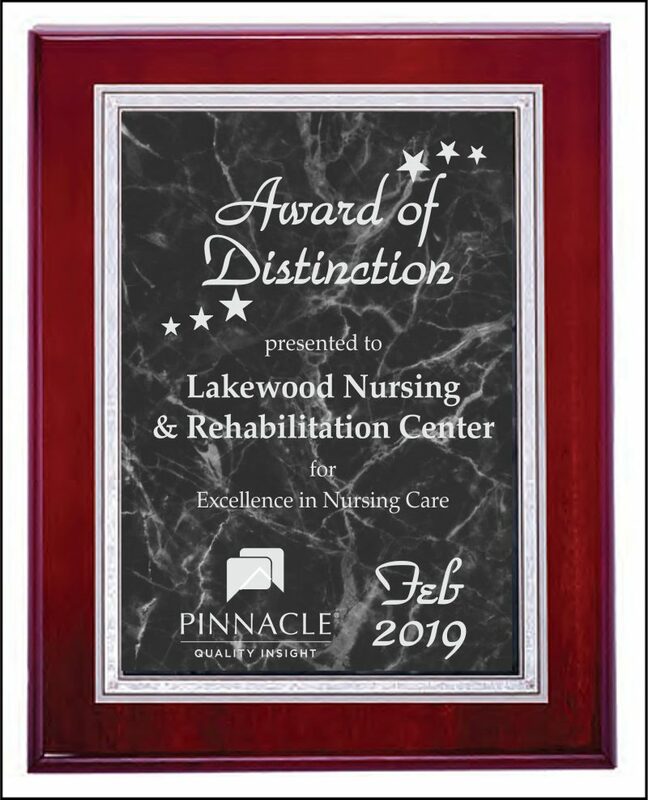 This service is an added bonus to our residents here at Lakewood as the physician is able to perform many in-house treatments for wound care. Many other facilities do not have this type of care and end up needing to send residents outside of the facility for treatment. Lakewood can also accommodate a variety of wound care treatments under the direct supervision of this physician including, wound vac placement and maintenance.